There is a series of factors that have to be taken into consideration when talking about the best DSLR camera choices for beginners, such as price range, features or frequency of use. What is the best DSLR camera for beginners? The answer to that question depends pretty much on what you expect from a DSLR camera and how you can make the camera fit your expectations. If you are an entry-level photographer who feels the need to invest more in his passion for photography, after trying the wide range of point-and-shoot cameras out there, then you probably should invest in a DSLR camera. A DSLR camera can be considered the best DSLR camera for beginners, when it can combine most of the features that point-and-shoot cameras provide with a more professional touch to make it easier for you to improve your photography skills. However, a DSLR camera is a major purchase, so you have to ask yourself what you really want out of it and what are your best choices. If you are an entry-level photographer, your best choice will be an entry-level DSLR camera, with a user-friendly interface and easy understandable features. Also, if you have a fairly generous budget dedicated to this purchase, choose a camera that is easy to use but that can be also improved with different types of lenses. Here are four of the best DSLR cameras for beginners that are available for purchase today. We are going to start slow, by presenting the Pentax K-50. Although it has had some mixed reviews, the overall experience that the Pentax provides is really satisfying. 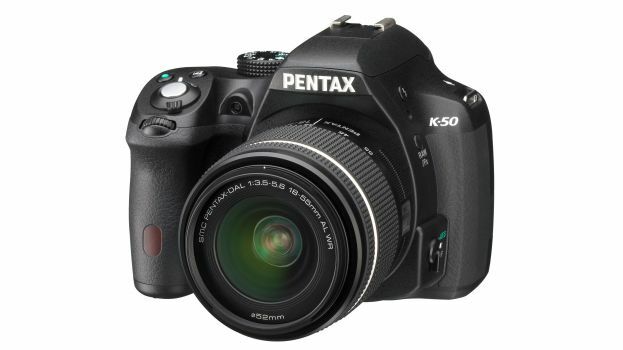 If you are planning on going to the next level when it comes to your photography skills and want a budget-friendly DSLR camera, Pentax K-50 is definitely the right camera for you. It offers a continuous shooting speed of 6 frames per second, a resolution of 16 megapixels, ISO sensitivity that ranges from 100 to 51,200 and video recording in 1080p HD format. Given these facts, Pentax K-50 can be considered one of the best DSLR cameras for video and the most affordable DSLR camera presented in this top. 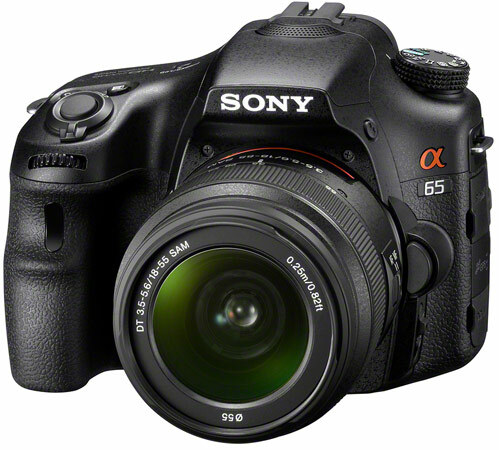 Next one in line is the Sony Alpha SLT – A 65. This entry-level DSLR camera works wonders when it comes to resolution – 24.3 megapixels and it has an impressive continuous shooting speed of 10 frames per second. As for the features, the camera comes with a dust reduction system, a built in automatic pop-up flash and the ability to record movies in full HD. While this camera offers outstanding image quality at a good speed, it lacks on the design part, being quite heavy at 27.2 ounces. Canon EOS Rebel SL1 is probably the best Canon DSLR camera when it comes to entry-level photographers. The photo and video quality are excellent and the camera itself is considered comfortable, through its ergonomic design. Canon SL1 is currently the world’s smallest and lightest digital SLR camera, but still manages to deliver great performance. It works great even in low lightning or when capturing fast subjects. Another plus that this camera has is its touchscreen. It is one of the best choices for photographers who want to upgrade from a compact camera and it definitely delivers value for money. When it comes to DSLR cameras and accessories, the best DSLR camera bag has to be big enough for your camera but it should also have a comfortable design. Use straps with a nice grip, to be sure your camera bag will not slip off your shoulder and also strap around your camera should also be a must-have, to avoid damage caused by accidentally drops. These were some of the best DSLR cameras 2013 and 2014, suitable for a wide range of entry or mid-level photographers.